In 2015, the Public Health Institute conducted a survey of GOJoven alumni in order to collect updated information on alumni fellows’ participation and leadership in the field of adolescent/youth sexual and reproductive health (SRH) and sexual and reproductive rights (SRR). As shown in the survey results (available below), graduates have sustained robust participation in GOJoven activities, extremely robust involvement in work to address AYSRHR, in which a large majority holds leadership positions, and an increase in Alumni monitoring and evaluation (M&E) knowledge and skills attributed to GOJoven. Country-specific alumni survey results are available in the alumni survey country infographics developed with Summit Foundation support. 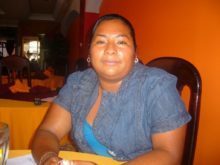 In 2011, the Summit Foundation commissioned an external evaluation of the Public Health Institute’s GOJoven Program implemented since 2004 in Belize, Guatemala, Honduras, and Mexico to build young adult leaders’ and local organizations’ capacity to improve adolescent sexual and reproductive health and rights (ASRHR).